You can typically sum up a day or even a race in a couple special moments. You hope they are good. I came into this race with an ankle injury and needed to reset my expectations just to get the start line. Sometimes you forget and push forward with a regular intention. In some cases, that works, on others you are quickly reminded and brought back down to earth. After four days of grinding down the body and barely making it through each day, I was reminded of that intention and focused on being kind to myself. Everyone is running their own race, dealing with their issues and injuries and day 5 for many was no exception. We had already completed the long day which is usually day 5/6 so the body had already dealt with that. Do you remember that scene from Apollo 13 where Tom Hanks and Kevin Bacon are up in space with a damaged Space capsule and only 3.4 GHZ of battery power and Gary Sinise is back in the NASA lab trying to replicate their situation? He had to figure out how to bring them out of orbit and back to earth on what is clearly less power than needed. Put yourself on a mountain range in Antarctica having run for 33 hours sand running low on GHZ to continue to run and finish the day. All I could think about was putting one foot in front of the other, through tough crusty deep snow on all types of angles. Gary Sinise gave his team in the capsule the formula for one chance at re-entry. I was focusing all my battery life on three things: Stepping one foot after the other with balance, engaging core, and breathing as I looked up at the trail ahead. Balance, Core, Breathe. That’s it, over and over and over again. I also lifted my head now and again to take a look at the scenery and realize I was running in one of the most untouched and stunning places on earth that I would likely never visit again. That maybe gave me an extra GHZ here and there. When you focus on three simple things with absolute precision, so that every fiber in your body is putting energy toward completing the task and only that task, you are pretty good at getting the job done. Only having 3.4 GHZ in battery life to complete the final couple hours, it begs the question, at full capacity what capability do you and I have in order to offer the world. May you have all the focus you need to have a great finish to November and a fast start to December! For those of you interested in how the race finished, see the blog link below…and stay tuned for more coming over the next couple weeks. 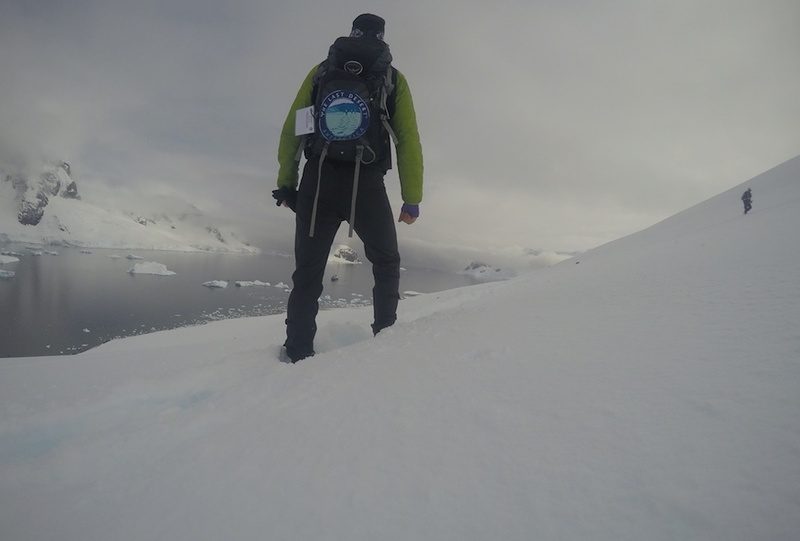 Next PostAt Sea…On Way To Antarctica!